Presenting, Annapurna Height - an address that is an oasis of calm, peace and magnificence in the hustle-bustle of the city, Mumbai. Your home will now serve as a perfect getaway after a tiring day at work, as Annapurna Height ambiance will make you forget that you are in the heart of the city, Mira Road. Annapurna Height is a large project spread over an area of 0.50 acres. Annapurna Height comprises of 1 BHK and 2 BHK Apartments in Mumbai. Annapurna Height brings a lifestyle that befits Royalty with the batch of magnificent Apartments at Mira Road. These Residential Apartments in Mumbai offers limited edition luxury boutique houses that amazingly escapes the noise of the city center. Annapurna Height is built by a renowned name in construction business, Annapurna Realtors at Mira Road, Mumbai. The floor plan of Annapurna Height presents the most exciting and dynamic floor plans designed for a lavish lifestyle with 12 floors. The master plan of Annapurna Height offers people a strong connection to their surroundings, promoting a sense of community whilst balancing this with a distinct private address for individual homeowners. Amenities: Out of the many world class facilities, the major amenities in Annapurna Height includes Maintenance Staff and Security. Location Advantage: There are number of benefits of living in Apartments with a good locality. The location of Annapurna Height makes sure that the home-seekers are choosing the right Apartments for themselves. It is one of the most prestigious address of Mumbai with many facilities and utilities nearby Mira Road. Address: The complete address of Annapurna Height is Mira Road, Mumbai, Maharashtra, INDIA..
Mira Road East, Mumbai, Maharashtra, INDIA. Annapurna Build Con Pvt Ltd was founded on 2010, and with in a span of time it has created his own brand name in Mira-Bhayandar area.Being one of the pioneers in Mira-Bhayandar real estate and having created landmark properties in Mira-Bhayandar, at Annapurna Build Con we do all we can to provide value for money to our customers. Further, we are committed to treating our partners, associates and customers and all others who do business with us, with dignity and respect. Buying a home is a huge thing, especially for the middle class family for whom owning a home is one of the biggest financial decisions. With a new home, comes hope. Apart from providing shelter and succor, owning a home is a legacy that continues to exist for future generations. Annapurna Build Con Pvt has made every effort to build properties that have turned your dreams into a reality, your desires to fulfillment and your hopes to happiness. We also recognise their contribution to our growth. Along with this, we believe in value enhancement by way of encouraging creative pursuits in designing, processes and ideas for all our projects. Thus each and every project is special for us. The company also believes strongly in providing equal opportunities to the deserving employees for growth and advancement in their career. In addition to this, our employees work in a challenging and exciting work environment, creating accountability on one hand but it also gives them complete independence in their work. By way of this rock solid belief system Puraniks ensures that its business generates profit. Ask from 8 other people who enquired about Annapurna Height. Review of Annapurna Height, Mira Road? Its price, location, builder etc. Review of Annapurna Buildcon Infra Private Limited, Mira Road? construction quality, trustworthy, delivery history etc.? Review of Annapurna Height, Mira Road location? neighbourhood, connectivity, schools etc.? Comparison of Annapurna Height, Mira Road to nearby projects? Is it rightly priced? What is your feedback on this Annapurna Height, Mira Road? Depends on brand name and complete the project in time etc? 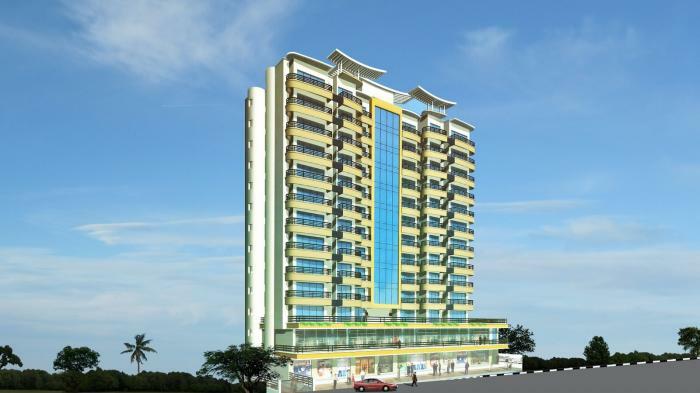 Will this be a better option for investment or to live in Annapurna Height, Mira Road? Can you give some suggestion? Is the Annapurna Height, Mira Road has more potential in terms of capital appreciation, ROI, Rentals, Proximity to social infrastructure etc?